On October 27, 2010 at 4 p.m. (7 p.m. EST) David Temple of peoplepoweredmachines.com will be heard on The Hill and Dale Show, L.A.’s irreverent, entertaining and cool internet talk radio show. Learn about how using a Naturcut reel lawn mower not only benefits your lawn and the environment but how it is also a great way to stay in shape. David Temple will talk about this and more of his environment-friendly garden products on The Hill and Dale Show on October 27 at 7 p.m. (4 p.m. EST). The Hill and Dale Show, a green radio show with a focus on L.A., is hosted by by Sharon Dale and Lucie Hill. Previous topics have included the plastic bag ban bill, alternatives to energy-guzzling clothes dryers, recycling, composting and more. David will talk about his company and his latest venture with NaturCut Reel Mowers in addition to information about the health benefits of the products he sells. 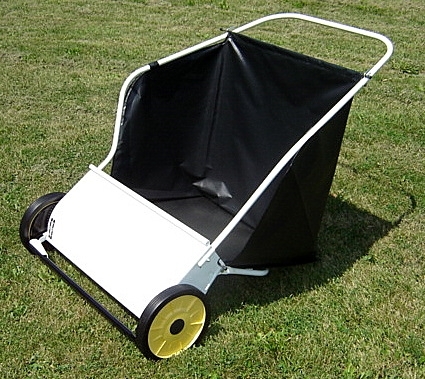 He will also talk about the Push Lawn Sweeper, a great way to clean your lawn of leaves and grass clippings. Also learn about many varieties of composters and vermiculture. Cleans your lawn of leaves, grass clippings, etc. The Sno Wovel had passed the first test. In subsequent uses in 4” of snow, chipping 2”of packed ice, and dealing with a blizzard, the Sno Wovel continued to efficiently clear the snow and ice and did so without any back pain for Dad. Learn more and see videos of the Wovel. Special Offer: In celebration of world toilet day Sun-Mar is offering a $75.00 rebate for any composting toilet purchases made between September 10th and November 27th. Composting toilets save water, recycle nutrients, and have zero odor, and are an inexpensive solution to the toilets we see in most restrooms and home bathrooms. 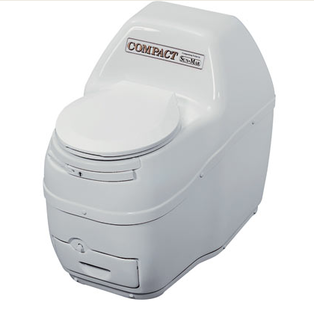 So order your composting toilet soon and save even more money than you would normally with a composting toilet. Have you ever wanted to transform your lawn into a garden? Watch the video below to see how the grass stitcher makes it possible without a lot of hard work or high expenses. The grass stitcher is more effective, less expensive, and delivers better results.